After our memorable visit to Luxembourg, a short drive by bus brought us to the ancient Roman city of Trier, the oldest city in Germany. Founded in 16 BC as a Roman colony by Emperor Caesar Augustus, it became a major outpost of the Roman Empire, and the glory of that reign remains today in Trier's many well-preserved ruins. The most impressive and best-preserved Roman structure in Trier is the Porta Nigra, originally a city gate built in the 2nd century. The Cathedral of Trier is the oldest Christian church north of the Alps, built by Emperor Constantine in AD 330. The present structure dates to circa 1035. The Constantine Basilica, another reminder of Trier’s Roman Past, was built by the emperor circa 310 AD as the imperial throne room of his palace. The basilica is one of the two largest Roman interiors in existence (the other is the Pantheon in Rome). Today, it serves as Trier's major Protestant church. The main market square of Old Trier, which is lined with gabled houses from the 16th century, also boasts the richly ornate St. Peter's Fountain (1595) and a market cross, on a Roman pedestal, erected in 958. Amid this history of ancient Rome stands the birthplace of one of Germany's most famous sons, Karl Marx. He was born here in 1818 and his theories would later reshape discussions about class and the economy. While the history of Trier is fascinating, you can't lose sight of the fact that the vineyards that overlook the Moselle River from the hills surrounding the city produce some of the best wines in the world, as any sampling of Riesling or Müller-Thurgau will show. 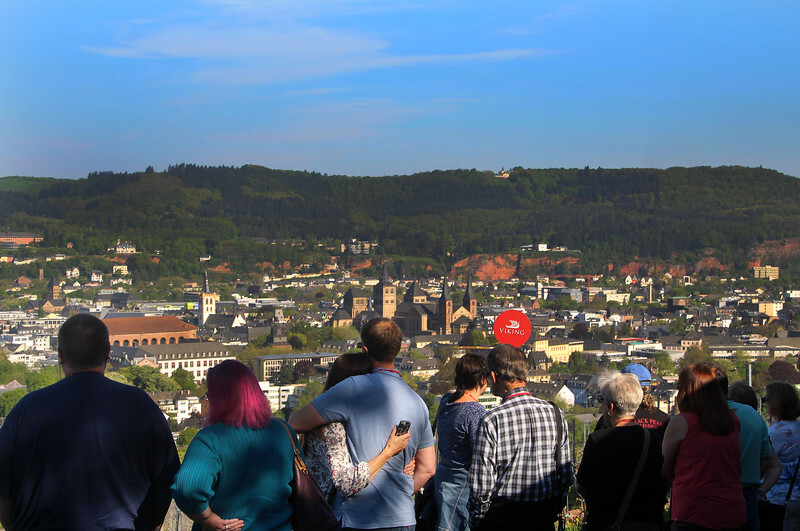 Trier is not only the principal city of the Moselle Valley; it is the center of this renowned wine-growing region.